Are you thinking about creating your own Wedding Invitations, Save The Date cards, Menus, Wedding Signs or printing your own place cards. 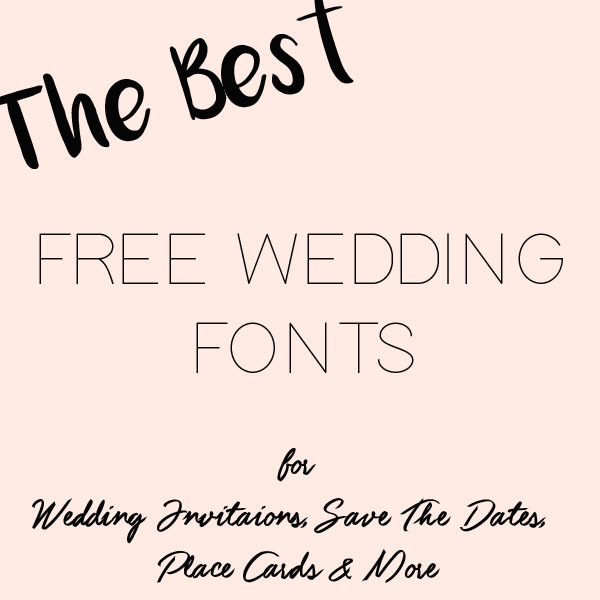 Try creating them with some of these fonts, below is a list of our top wedding fonts, Did you know you can download these fonts for free and install them on your computer. They’ll make your wedding stationery look that bit more professional. Follow the links below to download your favourite fonts. You can then use these fonts on your computer to create professional looking stationery for your wedding, whether you are using basic Microsoft word to create your signs or something more advanced like Photoshop. Did you know we have an online shop full of wedding decorations? Click on the wedding themes below to shop our wedding decorations by wedding theme. Who created that Master of Break font? It is no longer available, but I love it!